PA Forward | Pennsylvania Libraries is a new initiative of the Pennsylvania Library Association. It was created to give voice to what the library community already knows, and what other states throughout the nation are also recognizing: With the right support, libraries are ideally positioned to become the community centers of information, technology, and learning that will fuel educational and economic opportunity for all citizens. Libraries are no longer just buildings that house books. Today’s libraries are agile institutions serving real-life needs. 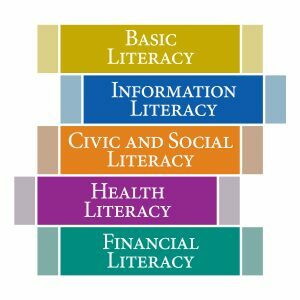 They hold the key to powering progress and elevating the quality of life in Pennsylvania by fueling the types of knowledge essential to success: Basic Literacy, Information Literacy, Civic and Social Literacy, Health Literacy, and Financial Literacy.